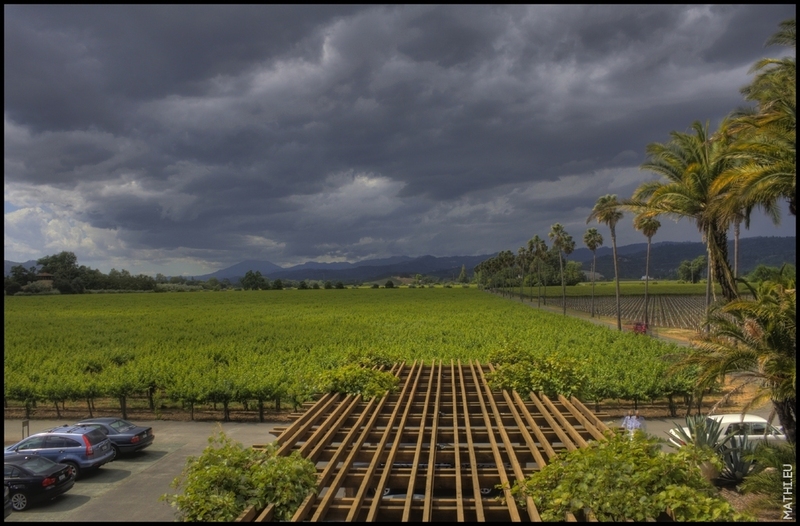 Oh oh – a big storm brewing in the Napa valley which according to locals is a rare occurrence. Also it apparently messes with the wine pollination during flowering season. HDR picture taken at the Round Pond winery. Dramatic photo. I like it.